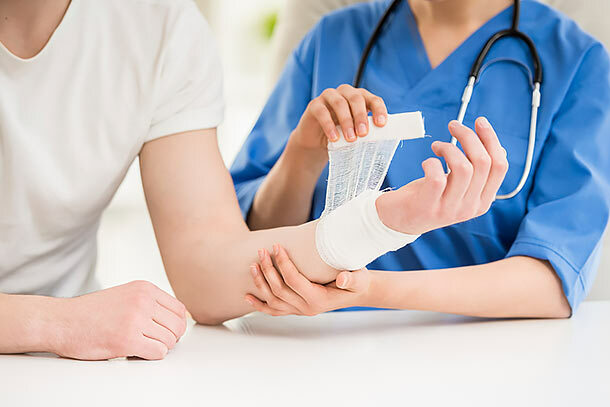 Chronic wounds caused by diabetes, pressure ulcers, trauma or other conditions affect three to five million people in the United States each year. The Advanced Wound Care and Hyperbaric Center at Centennial Hills Hospital Medical Center helps people with chronic wounds. The staff who work in the program understand the underlying conditions that cause acute and chronic wounds, including diabetes, poor circulation and infection. To schedule an appointment at the Advanced Wound Care and Hyperbaric Center, please call 702-835-9777. Dr. George Barnes Jr. is a general surgery specialist in Las Vegas and has been practicing for 25 years. 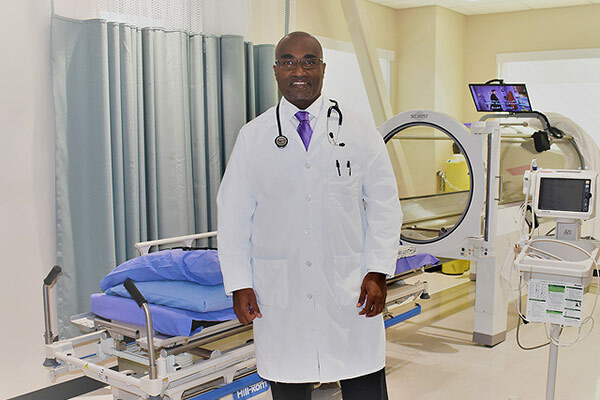 He graduated from Howard University College of Medicine in Washington, D.C. in 1984 and specializes in wound care. Among the services offered in the wound care program is hyperbaric oxygen therapy (HBOT). In this procedure, a patient relaxes inside a pressurized chamber that is filled with 100 percent oxygen. Breathing pure, pressurized oxygen delivers high concentrations of oxygen to the bloodstream and the wound, accelerating the healing process. Wounds receiving HBOT have a much higher success of healing and can potentially prevent amputation. If you need a referral to a specialist or primary care physician, contact our free physician referral service at 702-388-4888.